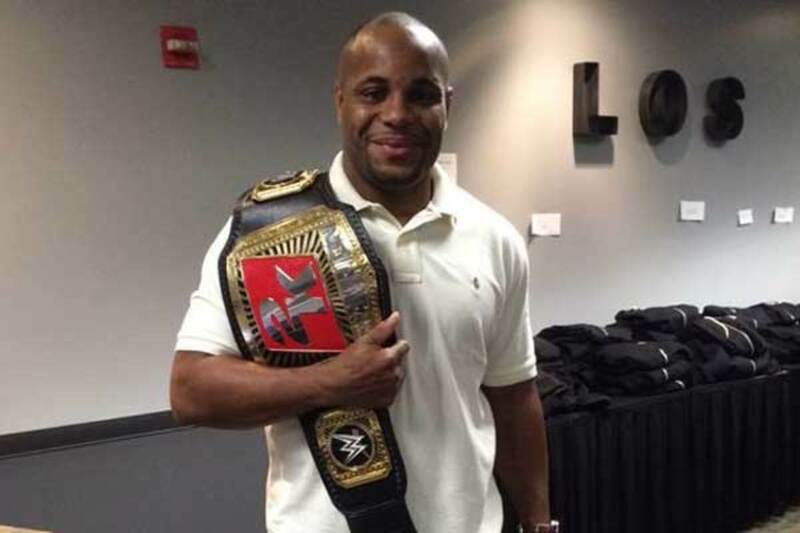 Longtime pro wrestling fan Daniel Cormier might fight a former WWE champion in the future and also might call one of his matches one day as well. During a 35-minute media session to promote his upcoming UFC 230 heavyweight title defense, the 39-year-old admitted that the short notice fight pushed back a planned WWE commentary tryout at the company's Performance Center in Orlando, FL. Besides being a two division champion in UFC, Cormier also co-hosts UFC Tonight on FS1 and is a frequent member of the broadcast booth for various UFC events. He is also an unabashed pro wrestling fan and even got into it with the Young Bucks on Twitter this year over spots in a match. Cormier said that after his fight with Derrick Lewis in a few weeks at Madison Square Garden, he'll do the tryout but is still planning to finish out his UFC in-ring career and will "never not leave the UFC" in his current on-screen roles. He said he wants to hear Vince McMahon yelling in his ear on the headset telling him what to say as he "freaks out" about the in-ring action. He joked that if he was to face Brock Lesnar in the ring, he wouldn't do the job. Cormier is expected to face either Lesnar or Jon Jones in his final career fight if he can win at UFC 230.